Pictured Above: The new boat in action. Photo courtesy of Diane McNevin. 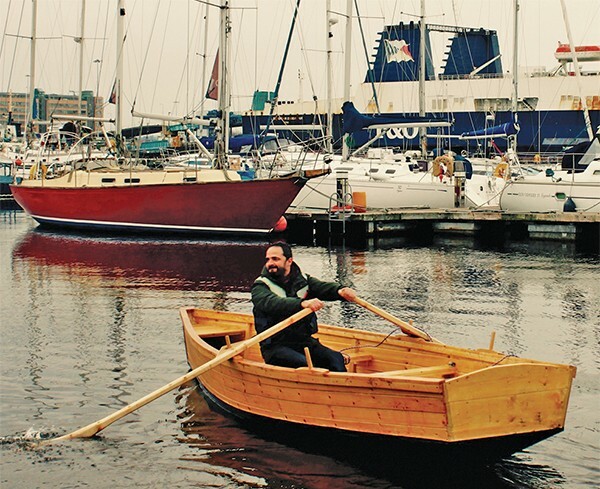 Fans of Liffeyside leisure activities will be delighted to see the launch of another unique boat on the river. This time it’s a 16-foot wooden Hard Chine boat, built by artist and boating enthusiast Dermot McNevin. An Lon Dubh was launched at Poolbeg Marina on Saturday February 27th and the Liffeyside boating and rowing community turned out in force to celebrate the occasion. The ever-generous Eddie Byrne, chairman of the Ringsend Registered Fishermen and Private Boat Owners Association, provided the club premises for the celebrations. His new boat is built entirely of wood. It is a work of art as well as being a working craft capable of holding a crew of three adults. The plan is to have the boat on the Liffey all year round and Dermot plans to take it to Connemara in the summer. McNevin was “amazed by the support of the local boatmen” who helped launch the boat and assisted with anything he needed on the day. He wanted to launch the boat in Ringsend because his family are from the area. His paternal grandfather was a docker and he was also a director of Shamrock Rovers. His father worked for the Irish Glass Bottle company, as did an uncle. On his mother’s side, her uncle was Cecil Driver, who owned Cecil’s Barber Shop on Thorncastle Street. His maternal grandmother, Kitty Sweeney, moved with her parents to Stella Gardens in Irishtown in 1916 and grew up there. Her brother and sister fought in the War of Independence and attracted the attention of the Black and Tans who came to the house looking for them. Years later, McNevin’s great-grandfather was digging in the back garden in Stella Gardens and unearthed a sack full of guns and ammunition, buried there by his rebel son, no doubt. 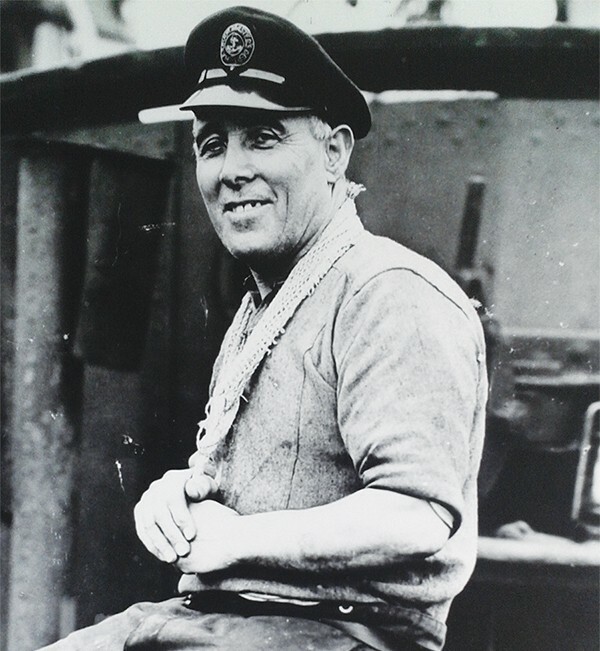 Above: Mattie McNevin, Dermot’s grandfather who worked as a docker. McNevin is still drawn to the area even though his family have long since moved away. In 1996 he had a solo show of paintings in the Kevin Kavanagh gallery based on the Pigeon House. He worked around the abandoned electricity generating station, daily, for a few months as he created work for the show. These days, he regularly goes rowing on the stretch of water alongside Ringsend and Irishtown and the place and its people are never far from his mind. McNevin’s love of the water and all things maritime is evident in his artworks. He has a solo show of paintings opening May 26th, at the Origin Gallery, Fitzwilliam Street.